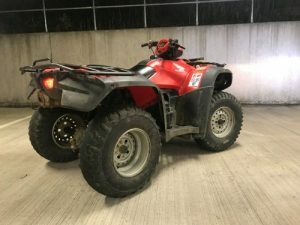 This evening (26 October 2018) due to information received from members of the public, officers from Leeds South NPT and The Leeds District Off-Road Bike Team were able to seize this massive red Quad bike which had been causing chaos around the LS10 area. Enquiries are ongoing to identify the rider. You can also provide anonymous information to Crime Stoppers on 0800 555 111.